Boris Teksler, Apple's director of patent licensing and strategy, said late CEO Steve Jobs and then-COO Tim Cook in 2010 warned Samsung that its smartphones may infringe on the iPhone's patents. In the sixth day of the ongoing Apple v. Samsung patent trial, Teksler said he created a presentation outlining the patents Apple believed Samsung infringed upon with its smartphones, reports All Things D.
The presentation, which Teksler was quick to point out was made in Apple's Keynote, goes through a litany of U.S. patents held by Apple, including the infamous "rubber-banding" UI feature, e-mail threading and gesture heuristics. While the Korean company's implementation of the Android application stack appeared to take up much of the presentation, a few slides pointed out uncanny design and packaging similarities between the iPhone and Samsung's handsets. We didnt understand how a trusted partner would build a copycat product like that, Teksler said, pointing out the issue was serious enough that Jobs and Cook met with Samsung executives to discuss the matter. According to his testimony, Teksler noted Apple held patents required for standards, core computing and those associated with what has become iOS. Apple is not interested in licensing the patents, Teksler said, because "it's what we don't wish to share and don't want others to mimic." Apple highlights in the presentation's second slide that "Samsung is a key Apple partner," however the company's choice to use Google's Android platform "undermines Samsung's greater relationship with Apple." The iPhone maker has long been at odds with Android, with Jobs famously quoted in his biography as saying the mobile OS was a "stolen product" and that he was "willing to go thermonuclear war" against it. 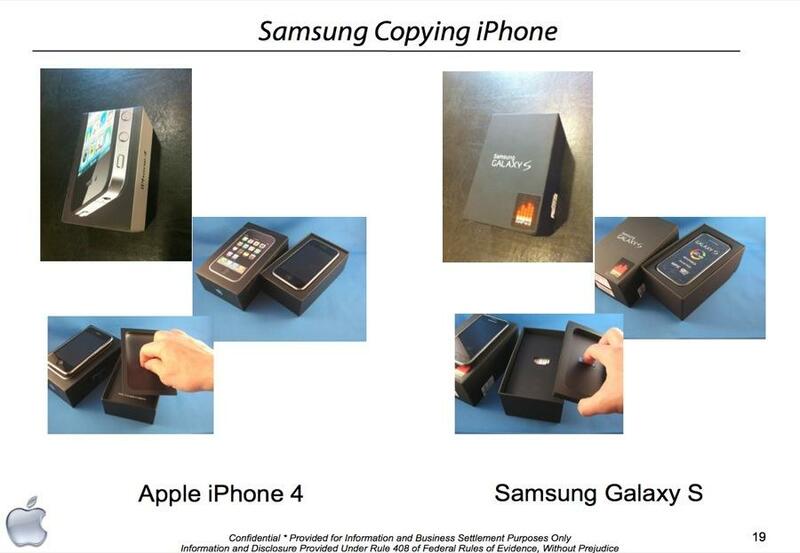 without Apple's permission" and is "designed to lead companies to imitate the iPhone product design and strategy." It was also discovered on Friday that Apple had in fact offered to license some of its patents to Samsung in 2010 for royalties equaling $30 per phone and $40 per tablet, though it is unclear if the two companies even discussed the deal. Apple v. Samsung picks up on Monday with more testimony from Teksler who will be followed by Samsung's first witness.